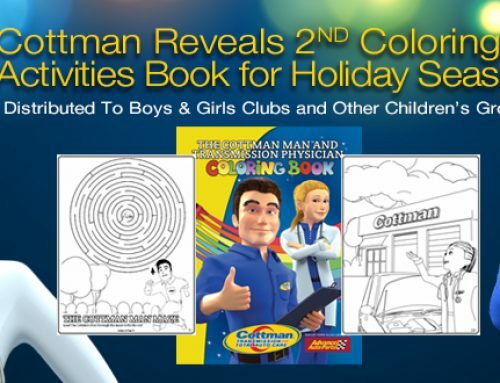 Home » Blog » Introducing The Cottman Man Coloring and Activities Book, for Children of All Ages! 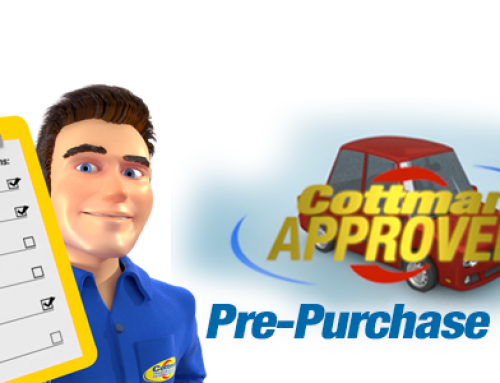 Well known as the face of Cottman Transmission and Total Auto Care, the Cottman Man has starred in TV commercials, hosted his own blog, and taken on a fresh look in a series of animated online shorts. But now, the Cottman Man has leapt into a completely different medium as the star of a new coloring book designed especially for children. The Cottman Man? In a children’s coloring book? It’s not as strange as it sounds. And just like that, the Cottman Man Coloring Book was born. Actually, the term “coloring book” doesn’t begin to do it justice: It’s more of an activities book, with a connect-the-dots picture, a word search, a maze, a compare-the-images page, and, yes, lots of images to be colored in. Many of the images are configured as stories, to help young children have a better understanding of why Mommy or Daddy has to take the family car in for service. The coloring of the pages and activities within the book should keep young children busy for hours, while teaching them a little bit about cars and what it takes to keep them in good working order. There’s even an answer page at the end of the book to let them check their responses to the puzzles and mazes. The initial run of the new Cottman Man Coloring Books will be taken to a few children’s hospitals in the areas served by Cottman centers and the books may start showing up in waiting rooms at Cottman centers all around the country. For more information — or to download an electronic version of the coloring book that you can print yourself — visit the https://cottman.com/cottman-man-coloring-book/. 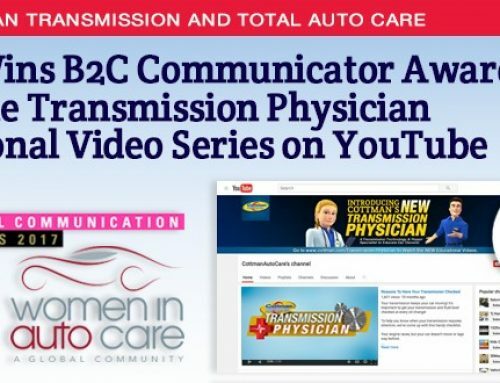 With locations across the U.S., Cottman Transmission and Total Auto Care is a transmission and auto repair brand that services almost any make or model vehicle, foreign or domestic. 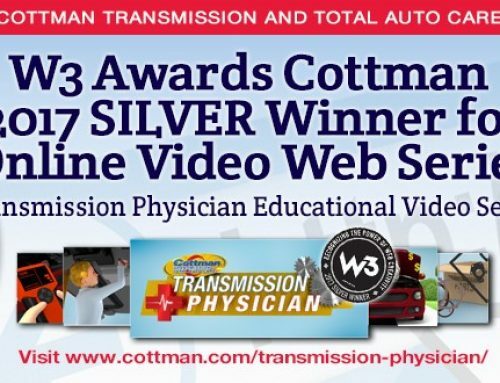 Cottman Transmission and Total Auto Care centers specialize in complete transmission service, including brakes, suspension, air conditioning systems, and much more. Cottman is based in Horsham, Pennsylvania. 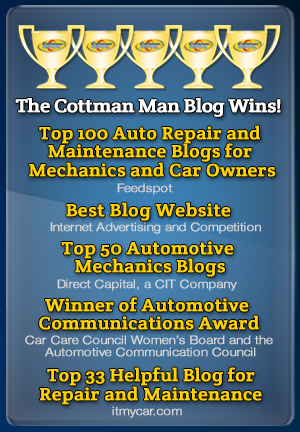 For more information, please visit www.Cottman.com and www.TheCottmanManBlog.com. Advance Auto Parts, Inc., a leading automotive aftermarket parts provider in North America, serves both professional installer and do-it-yourself customers. As of April 23, 2016 Advance operated 5,086 stores and 125 Worldpac branches and serves approximately 1,300 independently owned Carquest branded stores in the United States, Puerto Rico, the U.S. Virgin Islands and Canada. Advance employs approximately 74,000 Team Members. 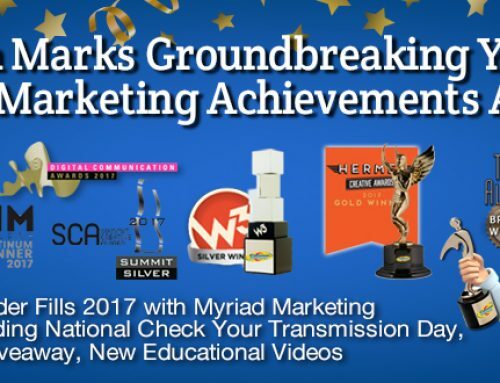 Additional information about the Company, employment opportunities, customer services, and on-line shopping for parts, accessories and other offerings can be found on the Company’s website at www.AdvanceAutoParts.com.